I recently had an interaction with one gentleman from the Muslim brotherhood, in America. He is a 27-year-old young man. Would you like to hear the interaction, and see what he says? Gentleman: I have been incarcerated, going back and forth from jail for doing many things. Crime was my best outlet. I just wanted to live, and regardless of whatever I had to do to live, I was willing to do so. 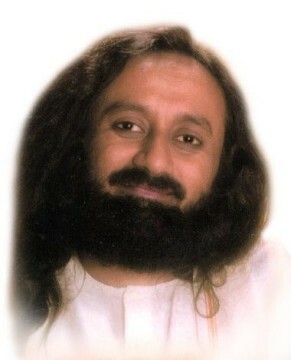 Gurudev Sri Sri: That is natural and understandable. Since you were going through a lot of fear and insecurity, naturally you will take to defending yourself. And that is what you were doing, right! Gentleman: Yes, but at that time, I didn’t understand that one can meditate and deal with any situation. I never knew that. And as part of the Muslim Brotherhood of America, you are taught to be radical. 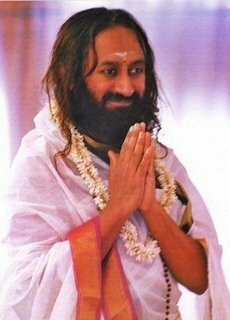 Gurudev Sri Sri: So, you were taught that those who do not believe in the same belief system as your own, were not good people. That is what you were taught? Gentleman: Yes. In actuality, we are taught to harm individuals. We are taught that people who believe differently than what we believe are the enemy. We are taught to do drugs and bring harm to individuals and to bring destruction to those who are not like us and who do not believe in what we believe. Now that I have actually come here and learnt different breathing exercises, and learnt how to meditate and eat the right food, I am seeking for the right knowledge and wisdom. Being here, learning these techniques has made me a believer. I am now a believer! We have met many such youth, who with a little bit of meditation and breathing exercises, could change their way of thinking -- from violence and seeing the other as the enemy, to thinking we are all part of a one world family. We are different but we are part of one human race. That sense of belongingness gets created. And all that it requires is a little bit of education. I have an appeal to all the governments of the world -- You spend money on defense, and it is necessary for you to do so. With a fraction of what you spend on Defense, why not invest in Peace Education as well? 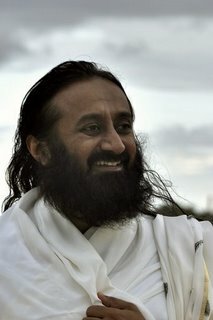 Educating people in going deep within and discovering who they are, keeping aside their religious beliefs. You can be a Christian, Jewish, Muslim, you can follow whatever is your religion, that’s okay, but apart from that, there is something that can help you to become peaceful, graceful and happy from deep within. Why not we educate them on these techniques; on the common shared values of all cultures of the world, i.e., peace and happiness? Why don’t we teach them to accept and acknowledge diversity? You can’t just make the whole world homogeneous. It has to be heterogeneous. We need to celebrate diversity. We need to honor all the cultures and every language of the world. Even within a country like Germany, Bavaria has its own culture and if you go to Schwäbisch Gmünd, it has its own culture. If you go to North Kiel, in that area, it has its own typical culture. Same with France. North is not the same as South. You go to Bordeaux; it is very different from the South of France. While the differences should exist, harmony needs to be brought upon and India can help in this regard because it has lived for centuries with harmony in diversity. So these are some things I felt we can exchange. Another thing I would like to tell you about is the ancient system of Ayurveda (Ancient Hindu System of Medicine). This is another aspect that India has to offer to the world. France can think of connecting with India for its Ayurveda traditions and medicine. Economically also, it would be very useful because it will bring down medical bills drastically, while also help the health of the society. Ayurveda treats many ailments with the use of natural herbs, time tested for 5000 years in India. The Prime Minister of India has created a separate Department for the Ayurvedic System of Medicine. It is being documented today for many illnesses including cancer treatments. So I would welcome the French medical experts to come and do a study on this. France can have a hospital in India, and we can do lots of experiments. The Ayurveda System of Medicine can be tried and tested in the modern way of documenting it, proving it, and then making it available to the general population. This would be of immense benefit to the people of France. Ayurveda and Yoga, these are the two soft powers! When we see the world as a one world family, we need to share what we have amongst each other. Of course, croissants (a buttery, flaky bread in the shape of a crescent. A staple of French Bakeries) are becoming more and more popular in India. Q: Who are your main sources of inspiration? Inspiration is always from within. When you have the commitment to do something in life, something in the world, give something to the world back, you can draw inspiration from everything and from everybody around you. You cannot decide, I want to be inspired by so and so. Inspiration is almost a spontaneous thing that happens to you. You see a child playing and something happens within you. You feel inspired. You see someone doing some good work and you want to do that. I feel that when you are free from stress, everything can inspire you. But if you are clogged with stress, even the best of wisdom does not really enter into you.